I never thought I would say this, but I’ve found a tinted moisturizer that can actually substitute for foundation! 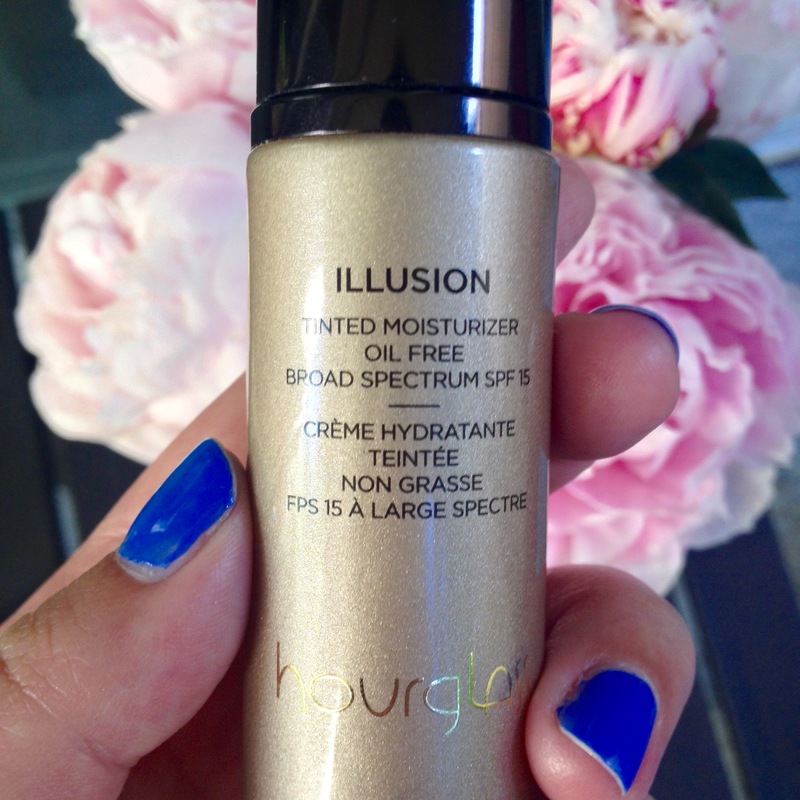 Hourglass Illusion Tinted Moisturizer provides amazingly natural, dewy, buildable coverage that lasts all day. It doesn’t cake in the heat like powder foundation sometimes does, and it’s much lighter than most liquid foundation, so it’s absolutely perfect for summer. Plus, it’s got SPF! Sweet, glorious perfection in a bottle. My lip product of choice for the past few weeks, BareMinerals Pop of Passion Oil Balm might be the best thing in my makeup bag right now. Enriched with jojoba oil and vitamin E, this luscious balm hydrates and gives you vibrant, glossy color. 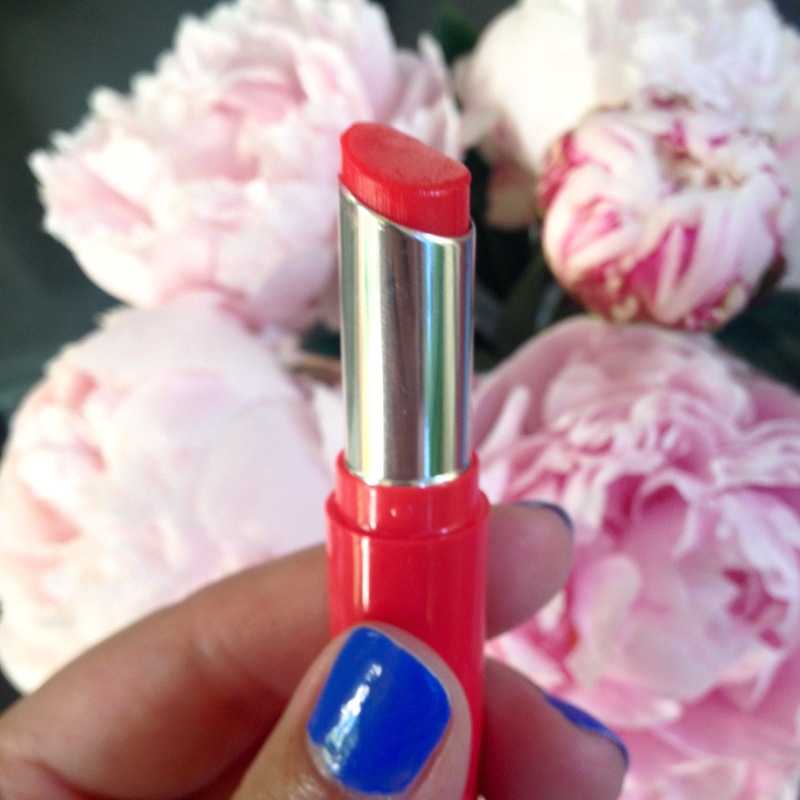 This stuff is actually more of a lip stain, so the color is incredibly long-lasting. The worst part of painting your nails is waiting for them to dry, struggling not to touch anything lest you smudge them and destroy all your hard work. Consider Julep Ta Da! 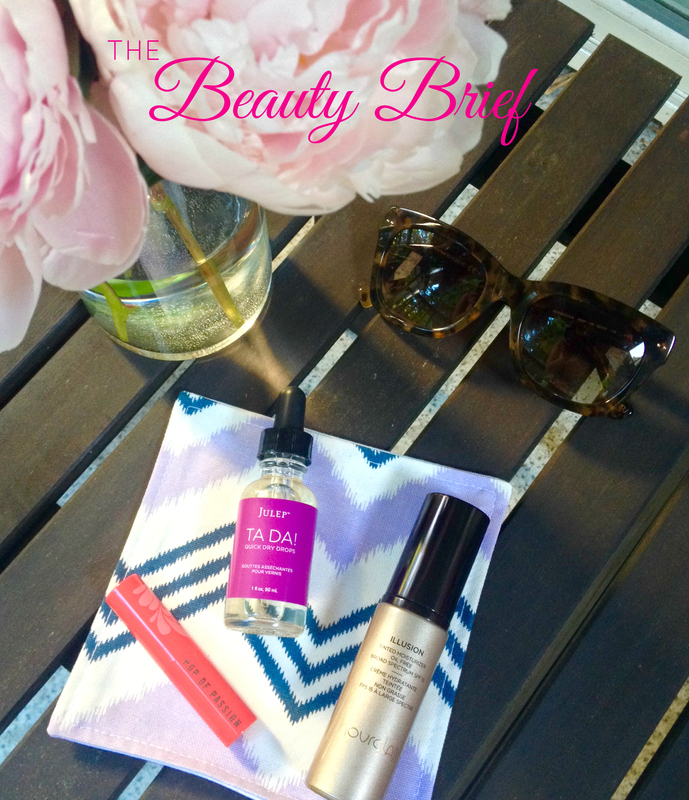 Quick Dry Drops your secret weapon for an immaculate manicure. If you add a drop to the base of each nail about a minute after applying polish, your manicure will dry much more quickly. I have absolutely no idea how this works, but it does. Don’t question it. Just try it. Have you tried any of these? 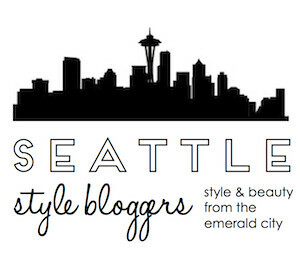 What beauty products are you loving lately?